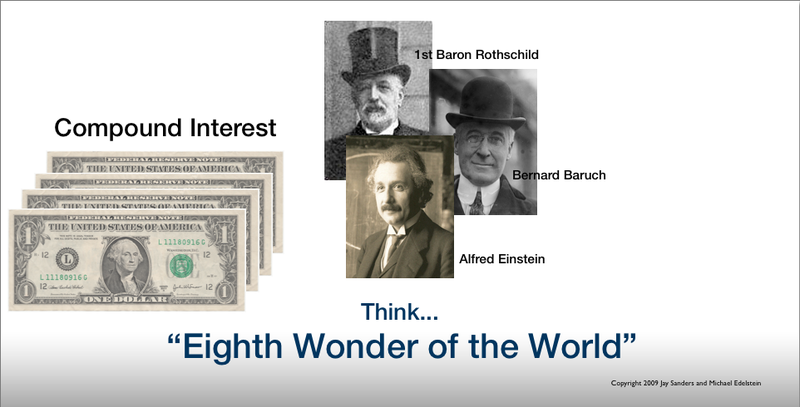 What did Albert Einstein, Bernard Baruch and the Baron de Rothschild have in common? “‘Wonder” means something awesome and inspiring; think Grand Canyon, the Taj Mahal, and the Great Pyramid. So what’s the awesomeness of “Compound Interest”? Definitionally it’s simply the return (interest) earned on money invested (capital) where both the capital and the return are not withdrawn and continually reinvested over an extended period of time. It’s the extended time period that makes it truly awesome and inspiring. Consider this: If you save and invest $1,000 a year for 55 years and assume the rate of return averages 11.5% (by the way the U.S. equity markets earned this from 1929- 2007) how much money will you have in 55 years? Answer: Approx. $3,400,000. Check it out for yourself with any compound interest calculator. So what’s the problem, why aren’t people using it. First off most people don’t know about it and the few that do have trouble sticking to it. In life your savings (FLOW) should follow a curve that looks like this. 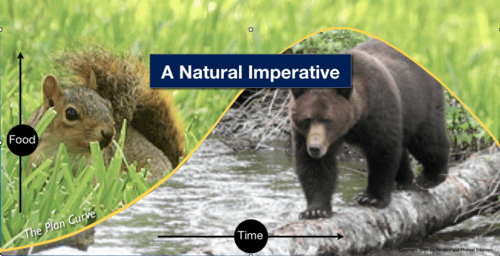 Just like squirrels and bears put away nuts and food for the winter we need to be saving for the time we no longer can or want to work. That point is the top of the curve. Compound interest is the easiest way to get there. All you’ve got to do is start so time can begin working for you. Want more? Subscribe to my blog.